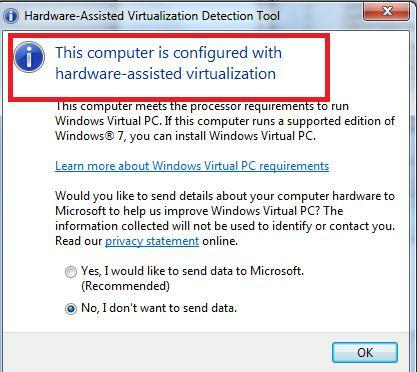 This blog post explains the steps to use havdetectiontool.exe to find whether your processor (CPU) is Virtual Technology capable and VT is enabled in BIOS or not. 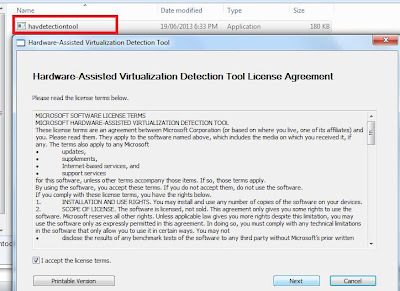 This is one of the things to check to have successful VMware Horizon View 5.2 with local mode deployment as per this article. 1. 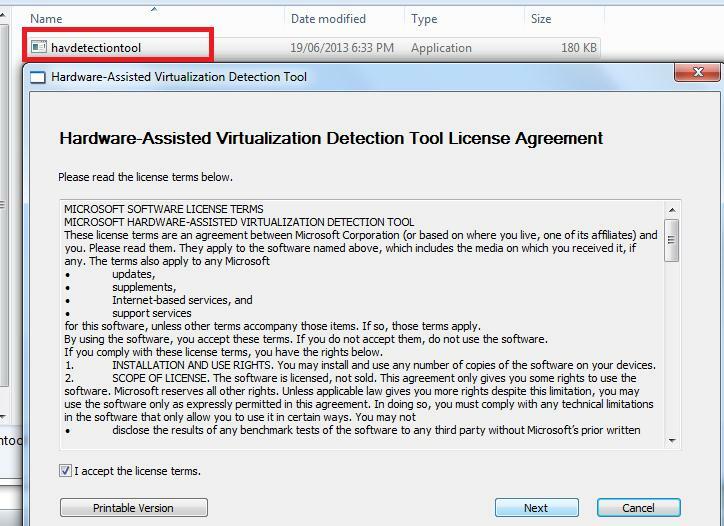 Download Hardware-Assisted Virtualization Detection Tool (havdetectiontool.exe) from here. Did you check your bios if INTEL-V is enabled ? Si me aparece que no tiene hardware-assisted virtualization. This tool will work only on Win7, WinVista and WinXp. In order to this tool work properly in any Windows Operating System version...go to the properties of the exe file and change the compatibility mode to Windows 7...It should works!! How should i continue if my pc is not supported ?